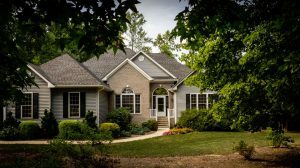 The U.S. Department of Agriculture (USDA) recently included more locations that are eligible for the Single Family Housing Guaranteed Loan Program. Some of these locations are in the Pottsgrove area and the perfect opportunity for first-time homebuyers! What Is the Single Family Housing Guaranteed Loan Program? The Single Family Housing Guaranteed Loan Program is a 100% financing mortgage for moderate-to-low income homebuyers in eligible locations. The loans are location specific and income capped. USDA loans are issued by qualified lenders and guaranteed by the USDA. Benefits of these loans include zero down payment, low rates and low PMI (mortgage insurance). Purchase a property that meets program criteria. Occupy the property as their primary residence. Be a U.S. citizen, U.S. non-citizen national or qualified alien. Have the legal capacity to incur the loan obligation. Have not been suspended or debarred from participation in federal programs. Demonstrate the willingness to meet credit obligations in a timely manner. Interested homebuyers apply for the program through a local approved mortgage lender. To learn more about eligibility requirements, visit the USDA’s website.